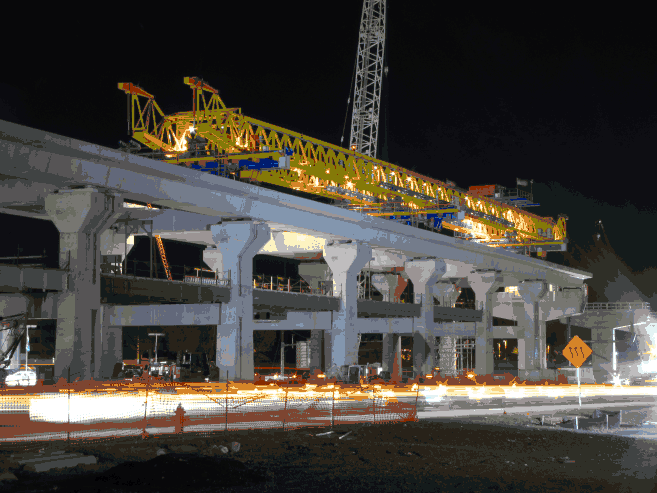 Dulles Metrorail Extension - Quinn Consulting Services, Inc. This $5.25 billion project includes new construction of a 23-mile Metro Rail extension from the West Falls Church Station to Ashburn, Virginia, just west of Washington Dulles International Airport. The full project includes 11 new metro stations in the Tyson’s Corner area and along the Dulles Toll Road/Greenway Corridor. Work includes extensive utility relocation, new foundations, piers, elevated track, a 2,100-foot long tunnel in Tyson’s Corner, road improvements, new metro stations and associated infrastructure construction. The project is being constructed in two phases. Phase I was constructed from West Falls Church to Wiehle Avenue on the eastern edge of Reston at a cost of $2.75 billion. It includes five stations and was completed in 2014. Phase II will start at Wiehle Avenue and will extend the Metro to Ashburn in eastern Loudoun County. The estimated budget for Phase II is $2.5 billion and will include the remaining stations. Quinn is providing Quality Assurance (QA) on this project. Our employees are working closely with the Metropolitan Washington Airport Authority (MWAA), the MWAA project management support services consultant, the design-build contractors, county officials, numerous contractors, the Virginia Department of Transportation, 21 different utility companies, and various other agencies. QA services include daily surveillance of the construction work to verify conformance to plans and specifications, preparation of daily reports to document daily construction activities, performance of specified testing and preparation of associated testing reports, oversight and management of QA civil roadway inspection staff, review and coordination of specific subcontract changes associated with scope modifications, acceleration requests, time extensions, and/or contract price adjustments. The full project includes 11 new metro stations in the Tyson’s Corner area and along the Dulles Toll Road Corridor. Work includes extensive utility relocation, new foundations, piers, elevated track, a 2,100-foot long tunnel in Tyson’s Corner, road improvements and new metro stations and associated infrastructure construction.